When it comes to the holiday season, food becomes the main focus on many occasions. There are many parties to attend, or parties to host. Gathering with loved ones and sharing food that has been made with love brings a precious memory in our hearts. Preparing the food for a holiday gathering shouldn’t make you slave away in the kitchen, though. In fact, it should be easy and stress-free so that you can spend more time enjoying the spirit of holiday with your family and friends. 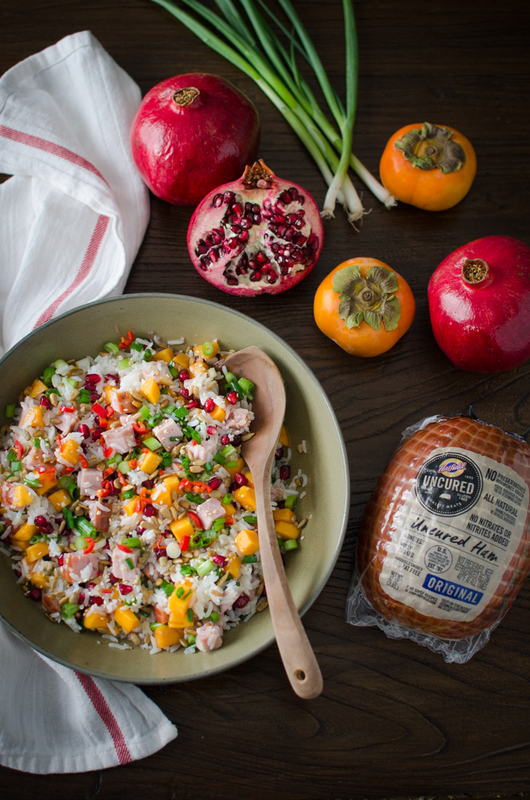 Whether you are hosting the parties or attending the parties, I wanted to share a very delicious salad recipe that everyone can enjoy: the festive Asian style ham and rice salad! It is super easy and quick to fix. This will be a great side salad for a turkey dinner party, or wonderful to bring as a potluck dish since it travels so well. If you have leftover ham from holiday meal, this salad will be the rescue. You can make it ahead of time, too. 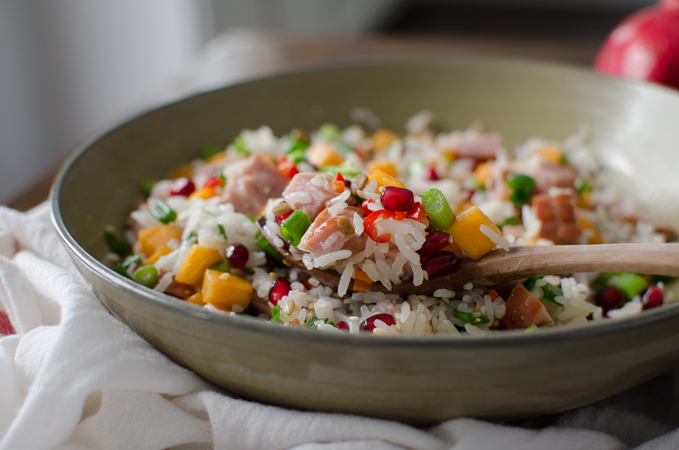 The Asian style dressing binds the ham, rice and the winter fruits so nicely. 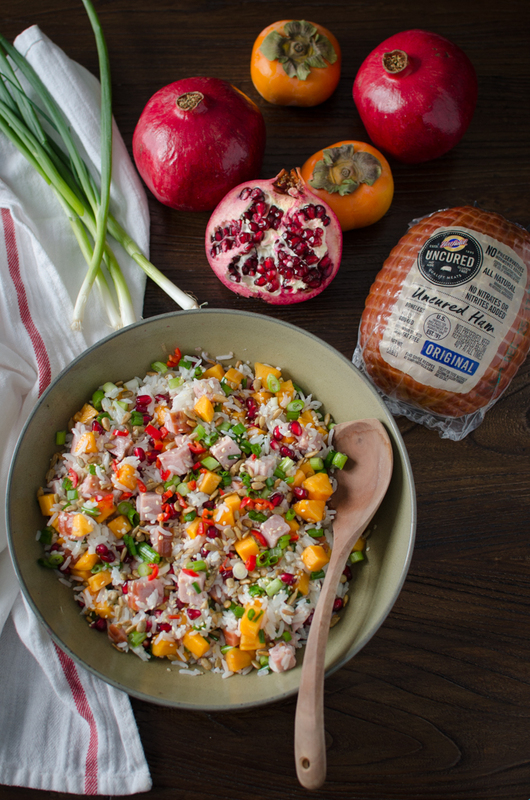 With the help of Hatfield products, I was able to create this festive Asian style ham and rice salad easily. I like Hatfield because it is one of Pennsylvania’s heritage brands, an American-made, family-owned, value-based company. Hatfield products help me keep things delicious, simple and stress-free in the kitchen. Hatfield promotes the importance of having time to spend with your family. Mealtime is family time – no matter where the meal takes place. You can find Hatfield products in grocery stores in mid-Atlantic states ranging from New England to Virginia. And no matter where you buy Hatfield, you’ll get the same exceptional quality and the same delicious taste. 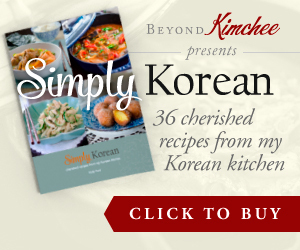 Click here to locate their product near you. I used their uncured ham for this recipe. It was really juicy, tender, not overly salty like other hams I have tasted before. They have no nitrates or nitrites added, no MSG, and no artificial ingredients. That means you’ll have nothing but delicious pork in every bite. As I tasted one piece, I could immediately tell it was a quality ham. So tasty! They have different kinds of pork products, including bacon. So check their products out. Not only that, If you are looking for more recipe ideas using Hatfield products, they have an excellent recipe channel. The videos show you easy and quick to put together meal ideas. Perfect for busy families. The pineapple dressing is very simple. Just whisk all the dressing ingredients and drizzle over the salad. You can serve immediately or chill in the fridge for 1-2 hours. I used steamed Jasmin rice, persimmon, Pomegranate seeds, and green onion to accompany the tasty ham. The vibrant colors and the sweetness of these winter fruits will make it perfect for holiday meal table. You can add a little bit of fresh red chili if you want a slight heat to the salad. Toasted nut or seeds, such as pecan or sunflower seeds, would top off the salad nicely. too. 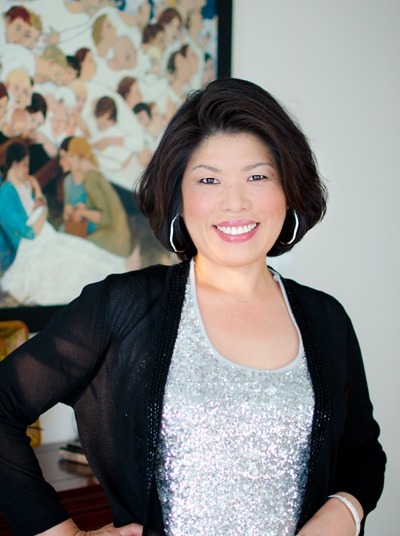 SheKnows Media is offering a $100 Visa gift card sweepstakes prize. Please answer the question; “What Hatfield products are you excited to cook this holiday season?”, in the comment line below. 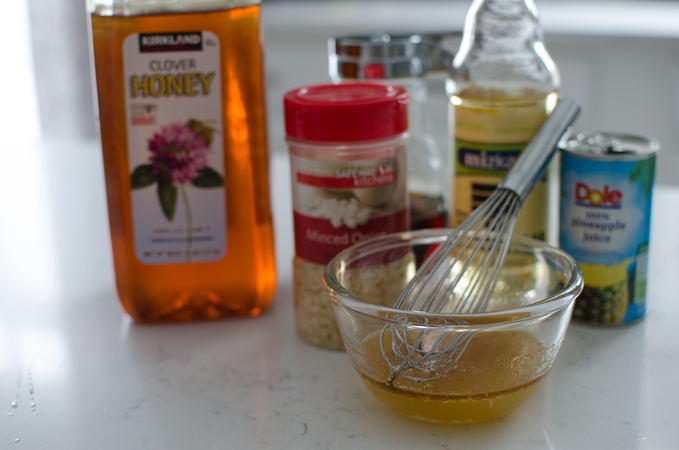 To make dressing, whisk all the dressing ingredients in a jar. In a large bowl, combine ham, rice, green onion, fruits, and red chili (if using). Drizzle with dressing and toss together. Sprinkle with toasted pecans or sunflower seeds on top. Serve immediately or chill for 1-2 hours. I am excited to try your recipe, Holly! I am excited to make bacon and cheddar biscuits using Hatfield Applewood smoked bacon! My family loves bacon! I am excited to cook the Hatfield applewood smoked bacon and Texas smokehouse pork roast. 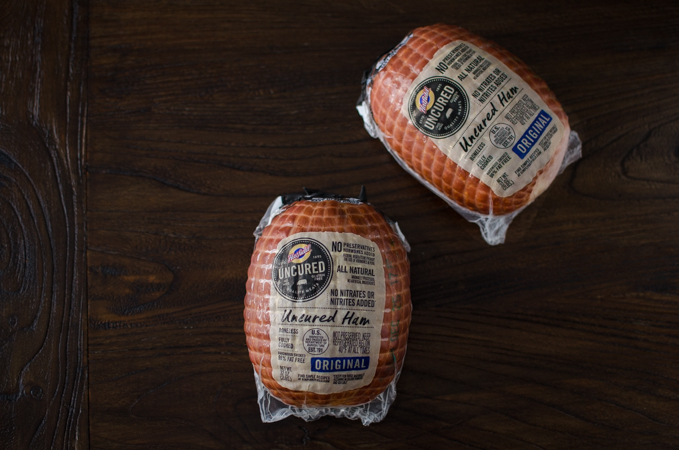 “What Hatfield products are you excited to cook this holiday season?” I'm excited to cook some Hatfield thick cut hardwood smoked bacon with Christmas breakfast! I would love to try their sweet italian sausage. Their applewood smoked bacon sounds delicious. I'm excited to make boneless ham for Christmas. 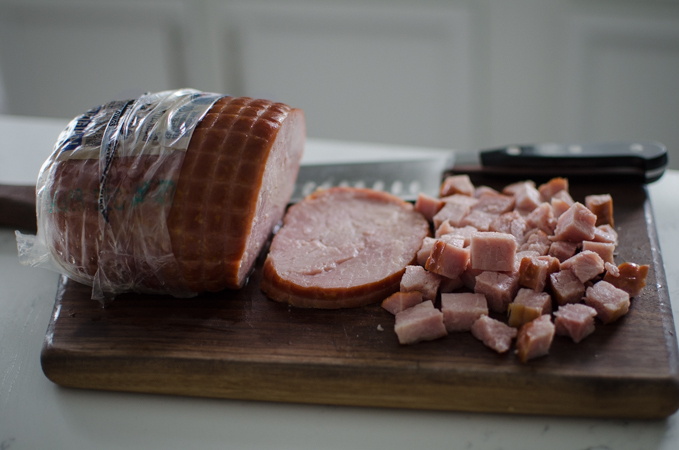 We love Spiral cooked hams for Christmas dinner so I want to try the Spiral Sliced Ham with Honey Glaze Packets. It already has the glaze for me to use! I always like cooking with their bacon but I really want to try one of their hams. I am excited to cook the Hatfield applewood smoked bacon in quiche I would also love it on a burger. I'd like to try the Uncured Smoked Bacon in my quiche. I would like to make the smoked ham this holiday season. I’m excited for my husband to make nems (Vietnamese spring rolls) with Hatfield ground pork. They are amazing and my husband is really the best cook in this family! That looks so yum ! I would love to try their Sweet Italian Sausage Links in my spaghetti sauce. Ham and bacon for the kids and sausage and ribs for my husband! We'll be cooking the Hatfield Ham. We also love the Sweet Italian Sausage which we usually cook over the Holidays to go with meatballs and lasagna. Thanks so much. I will be using the bacon for several appetizers - rumaki and stuffed mushroom caps. I like to bake homemade cinnamon rolls for my family at Christmas time, and a few strips of bacon along with a hot cup of coffee go perfectly on the side. Everyone loves bacon! I never used Hatfield products, but after seeing this post I sure want to get some ham! The food looks so fresh... Maybe I'll do this recipe as a quick, healthy eat for college! I'm looking forward to cooking with both Hatfield's sweet and hot Italian sausages. My son loves sausage and peppers and will be home soon for the holidays. I'm most excited to make the Texas Smokehouse Pork Roast and think its something the whole family will enjoy! I'd like to try their bacon around some goat cheese stuffed dates. I want to try their bacon for some bacon wrapped shrimp! I'm excited to try the Extra Thick Cut bacon - would make for a delicious Christmas morning! I'm excited to make Honey Ham with Apples for the holidays. I'm excited to use the bacon in a big pot of black eyed peas for New Years. I hope my store has the MONTREAL STYLE DRY RUB SEASONED PORK LOIN FILET - sounds so good! I am excited to try sweet italian sausage in my sausage potatoes bake.